On the south bank of the River Thames that floats through London there is a part of the city that is called Battersea. This piece of land was used as the basic provider of power to London for many years. Now, after a long close down, a new investor has massive plans with the property. In 1927 the first proposals for the building of a large power station near the river caused a storm of protest. Government was afraid the large fabric would cause a lot of pollution. Nevertheless, the chaotic situation during these years was in need for one organized provider of electricity. In the 1920’s the power of London was provided by several private operators. Competition between the various companies caused high prices for the public. 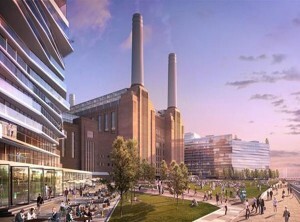 The government therefore agreed upon the fact that there was a need for one unified supplier and allowed the building of the Battersea power station. This led to the building of the first super station that was able to produce 400,000 kilo watts. Sir Giles Gilbert Scott, who designed the classic red telephone box, was the designer of the building. The entire station is built in a steel girder frame, which makes it the largest brick building in Europe. 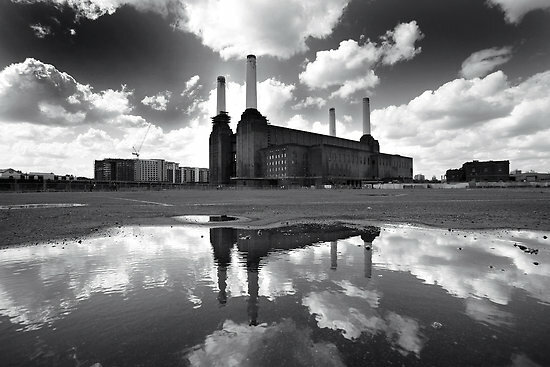 Due to the environmental pollution the station caused, Battersea stopped producing power in 1983. The following years the many developers showed their interest in the property but the plans were never realized. The Battersea power station stir has lain dormant for a quarter of a century. Since 2006 Real estate opportunities (REO) whose ordinary shares are listed at the London , Dublin and Channel Islands Stock exchange, owns the property. They are currently working hard on the so called ‘master plan’. The master plan will create three major avenues towards the Power Station says REO’s PR officer Aris Shah. ‘The Project currently lies in the hands of the planning permission.’ If this project will go through it will be the largest development project in the city of London.’ The plan includes the building 143 houses, a shopping area and more than 200 offices that can be rented. The entire area will be self-sufficient. This means the power station will provide power again. This picture was brought to us by Investment Property Group Ocean Villages. Only this time the power will be green. ‘We are aware of the environmental damage a big power station can cause’. We are planning to overcome these problems. If everything will work out as REO is planning, London will have a total new area in 2024.